The global connected/smart industries market is prophesied to receive a strong push in growth on the back of leading sectors such as internet of things (IoT), smart education and learning, smart building, and smart transportation. The growth of IoT in the utilities industry could be promoted with the need to enhance utility efficiency and the level of customer service offered by business organizations. Moreover, smart grid rollout supported by government initiatives is anticipated to strengthen the growth of the IoT market. Existing grid technologies being updated with computational and networking capabilities integration could also further the demand for IoT in utilities. The concept of smart building is predicted to be a profitable addition to the global connected/smart industries market as end users could enjoy reduced operational expenditures and the optimization of energy consumption. This could help end users to gain actionable insights through the analysis of energy operational data. With the help of the convergence of building automation and information technology, facility optimization could be enabled by smart buildings. The evolution of platforms based on building management IoT and increasing emphasis on green buildings are expected to augur well for the growth of the smart building sector in the global connected/smart industries market. The application of smart transportation could prove to be crucial for addressing issues such as accidents, road congestions, and infrastructure scaling rising due to the surge of automobile usage. Other factors such as augmented adoption of connected devices and demand for cost-effective technology solutions are foreseen to benefit the global connected/smart industries market. Some of the pivotal domains that could be listed under the connected/smart industries market are smart grid management, smart education and learning, connected agriculture, connected logistics, Internet of things (IoT) in utility, and IoT in retail. Players can expect massive opportunities in smart transportation to arise from the global control of greenhouse gas emission, road congestion due to rise in the number of vehicles, hyper-urbanization, and other prominent trends. 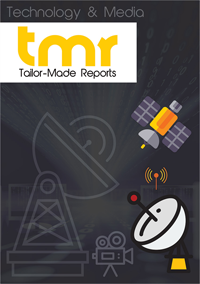 The publication authored by our well-versed connected/smart industries market research analysts is a collection of significant growth trends and opportunities, restraints, Porter’s five forces model, and future outlook of the industry. Buyers of the report can easily come in line with the intelligent steps needed to be taken to gain a competitive edge over other contestants in the international market. While the world connected/smart industries market could be stratified according to different sectors, the market for IoT in manufacturing is expected to register an exceptional CAGR. This could be assignable to a rising number of applications of IoT solutions in the manufacturing field. The integrated connected technology and upgraded automation solutions implemented at an exponential rate to satisfy the need for more efficient manufacturing operations are evaluated to augur well for the increased demand for IoT. The employment of IoT in manufacturing solutions based on cloud and economic advantages of software-as-a-service (SaaS) are predicted to offer an alimentary growth opportunity. Other factors piloting the growth of IoT in manufacturing could be the hiking penetration of connected devices and ebbing costs of connectivity and hardware. The connected/smart industries market is prognosticated to showcase an impressive growth ratio on a global platform. Smart highways and cities, intelligent transportation, and other initiatives taken to develop infrastructures are expected to prepare a robust dais for the worldwide connected/smart industries market to exhibit its prominence. Additionally, the dwindling prices of network and hardware components, requirement of improved functional competence, and advent of cloud are foretold to raise the bar for global market advancement. As a result of the investments initiated on a large scale and preliminary technological adoption, the connected/smart industries market in North America is envisaged to engender a humongous amount of revenue. If growth by a higher CAGR is concerned, Asia Pacific is foreseen to top the list on the back of countries such as Singapore, Australia, India, and China spending lavishly on technology and invigorating inflated technological adoption. The adoption of smart industries solutions could experience a setback on account of the lack of skilled labor in emerging nations. The development of the world connected/smart industries market is also envisioned to be hindered by operational inefficiency and centralized infrastructure. Howbeit, market players could find opportunities to rise against the odds with wildfire awareness about technological advancements such as cloud and smart technological solutions. Workforces can be trained through additional investments or strategic partnerships with companies established in developed markets. The major activities of the key players operating in the international connected/smart industries market are meticulously covered in the report. Each player is comprehensively studied based on important aspects such as development of new products, collaborations and partnerships, and acquisitions and mergers. Top technology companies such as Intel Corporation, IBM Corporation, General Electric, Cisco Systems, Inc., and ABB Group are studied to make an impression in the competitive field.